When Does New Business Need New Space? What does a new business need to look like before it begins the process for new space? Sometimes the answer comes with questions of staffing or sales projections or visibility, all of which are important, but none of which are truly the first consideration. One of the worst mistakes I’ve seen commercial brokers make is take on a commercial client without properly qualifying and preparing them for the process of taking on commercial space. Whether through intention or ignorance, the worst thing a commercial broker can do is obligate a new business with a contracted space when their business is totally unprepared. Taking the business through a simple qualifying process saves everyone time, money and energy. What follows are some simple qualifying steps that have worked wonders for preparing my start up or launch phase clients, and have moved them to create long term success. Is the business formally organized as a business entity? Anyone starting a business, will need to have formalized their enterprise for tax, legal liability and operational reasons. The benefits heavily outweigh the consequences of taking this step first. It’s a minimal expense compared to the cost of doing business, and can save you a world of frustration and cost in the long run if you get counsel from an attorney and/or an accountant. Is the business entity officially registered with the Secretary of State Corporations Division? In the process of taking space, most professional listing agents WILL check the secretary of state’s on-line corporation database to make sure the business is a formally registered entity. In most instances, if you have a professional helping you with formally organizing the entity, they can also register your business with the Secretary of State. It’s an annual process which your accountant can easily handle when filing your taxes. Here is where the rubber truly meets the road for the committed and impassioned entrepreneur. There are several excellent resources to help entrepreneurs with the development of their business plan. The importance is to remember that it is a living document, meant to be adapted and refined throughout the life of the business. In the initial stages, the business plan is the entrepreneur’s best marketing piece. It should speak to the concept, sales and marketing, budget, personnel, vision, fallback, market conditions, competition, profit and acquisition, vendors, operations, etc. A well put together business plan is going to create conversation and allow you win over support from those professionals and people that you are going to need to work with to achieve success. 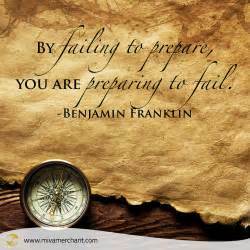 Talk can be very cheap, and anyone who take the time to prepare a business plan, will be much better prepared. What is your financial position to launch the business? Simply put, it takes money to make money. Rare is the business that doesn’t eat up funds simply to get it off the ground. Even more rare is the business that doesn’t need more funds to keep it going, particularly at a high level. Understanding your financial position, especially what you have available in liquidity is going to be a question you’ll be asked by landlords, banks, vendors, and other that want to offer support to your business. As a commercial broker, this is a foundational question when qualifying. Not asking this difficult question very early on could stall the process when it comes time to provide evidence of credit and funds. Some may put this as their first bullet point, and I would say if your business plan speaks to financial investors, venture capital and/or partnerships, then it may well relieve some of this question. This is one of those items that can sneak up on folks if they aren’t prepared for it. Talk to your insurance agent during your business plan process to determine the insurance package that goes with your new business. Some coverages are mission critical while others are unnecessary. Having that knowledge upfront is very helpful! I often tell my new business clients as we are walking through this process, that when they approached us for help, they were on step 2 and skipped over step 1. Shopping for property, whether for lease or purchase, without having completed these qualifying steps is simply asking to fail. It’s like going to the candy store, and NOT being able to get anything. There are obviously many more steps that come with moving a new business forward, some which may go in tandem with or even combine with these steps, but when it comes to the commercial real estate, these steps cannot be overlooked. As part of our process we use some extraordinary referral resources that our clients can leverage, sometime at no expense. So, when does a new business need new space? I’m glad you asked! 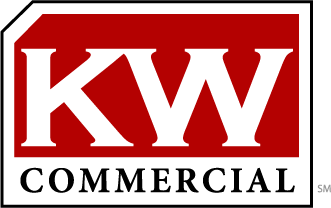 Diego Munoz is a commercial real estate agent with KW Commercial.